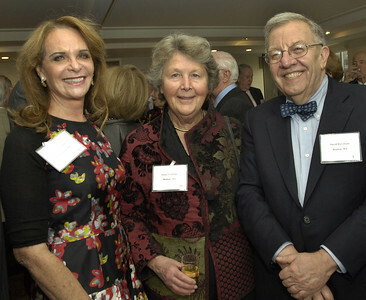 The NEHGS Annual Dinner took place on April 29 at the Four Seasons Hotel in Boston. David Hackett Fischer, distinguished author and NEHGS Councilor, presented a Lifetime Achievement Award to Emmy award-winning filmmaker and guest of honor Ken Burns. 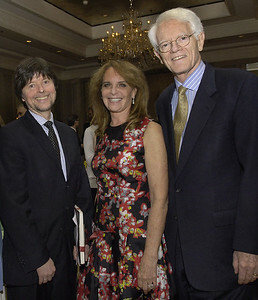 A record 200+ guests from across the United States attended the dinner, where President and CEO Brenton Simons presented Ken Burns with a genealogy of his family, prepared with the help of staff genealogist David Allen Lambert. 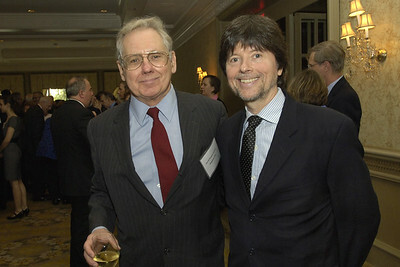 Attendees were deeply moved by Ken Burns’s poignant remarks on the importance of family and family history. 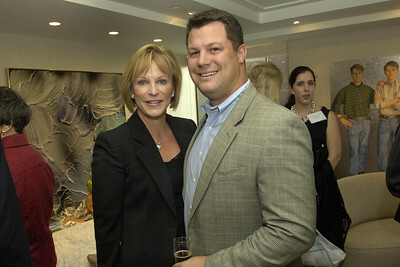 Retrospective highlights of his films were shown, as well as a preview of his latest work on Prohibition, which will air in October 2011. 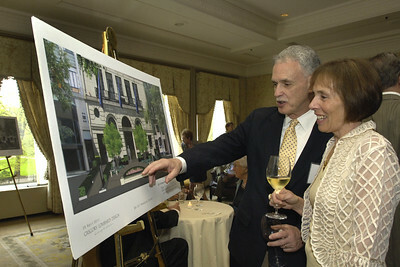 A short documentary on NEHGS, A Farseeing Vision: Connecting Families, Advancing History, also debuted at the event. The film was honored with a Telly Award in June, and features distinguished leaders in the fields of genealogy and American history. 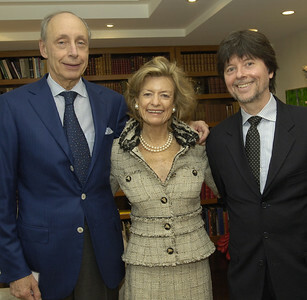 Martin and Debbie Hale with guest of honor Ken Burns. 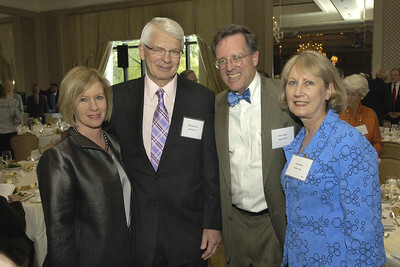 Carolyn Lynch, Nancy Coolidge, and David Burnham. 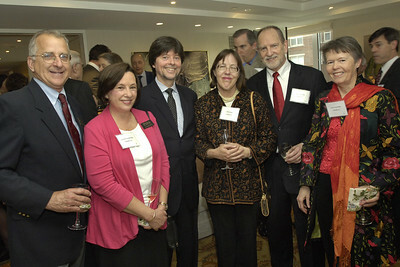 Ken Burns, third from left, flanked by California members Davie and Jennifer Piña, Juliet and Tom Gede, and Lynn Trowbridge.